As part of my social work, I am working on reinvigorating the OCRegister’s main Twitter account @OCReggie. One change is I added two new people to the account’s management crew (we now have eight). This allows for one permanent sub and for one person to be the on-call night and weekends person (alerts are sent by our newsroom editors, but this person jumps in to listen and help people during big off-hours events). 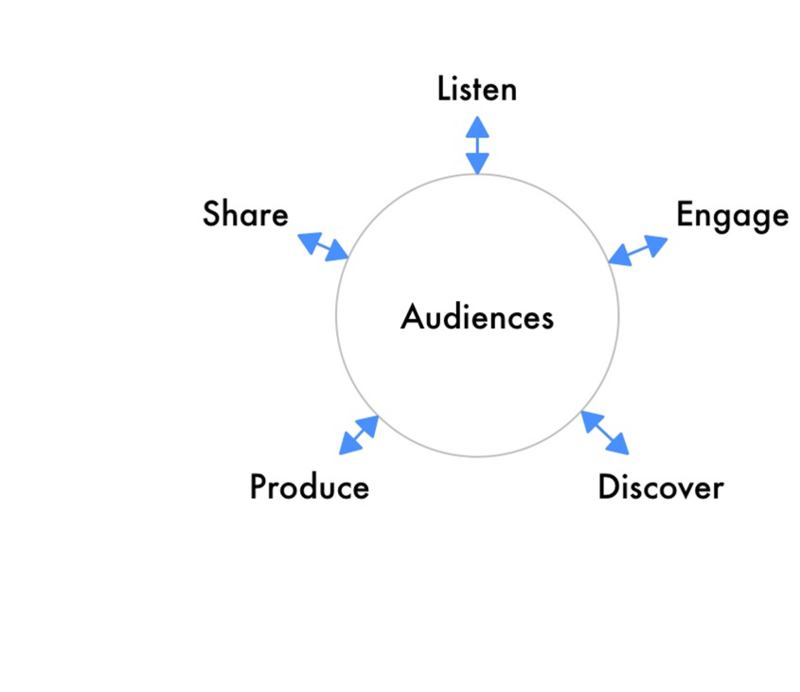 The two new people lets us have more people available during disaster times (such as wildfires) and to embed social into the newsroom’s core, rather than just being managed by geeks (like myself) in the corner. I also sent out my goals and thinking behind the account and I’m following up with staff to make sure the account is less formulaic and more engaging. To enrich the community (send alerts about breaking news, help people find answers, begin or join in on conversations about o.c.’s daily interesting news and information). As part of improving how we engage with audiences and how we serve mobile and social audiences, I am working with newsroom management to change the workflow and expectations for reporters, photographers and editors. The newsroom’s first large transition during my time was from print-only to web-first. 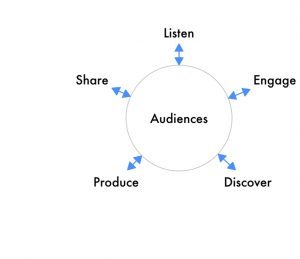 The newsroom’s new movement is to be audience-focused evenly across multiple channels. The image at left shows the workflow steps for every journalist in delivering to our many audiences (print, web, mobile and social). Clip: 7.2 Mexico earthquake jars O.C. Link: 7.2 Mexico earthquake jars O.C. I was working a Sunday night cops reporting shift when suddenly the building started shaking. A normal Sunday shift turned into a quake shift. While the building kept shaking I tweeted this: “Wow – #earthquake felt here in Santa Ana at the Register. Still feel it movin. Details to come.” Once the shaking stopped, I sent another tweet linking to the USGS quake information page and sent a text message to the breaking news SMS subscribers. I sent more tweets – retweeting others’ tweets and asking for damage information, personal stories and user-generated content. In some cases, I found user content on Twitter and asked if we could use it. I sent this tweet asking for us to use a video of pool water splashing during the quake — the same video you see that we were able to embed in this main quake story. Without Twitter and people geotagging their tweets via mobile devices — my coverage would have been 25 percent as valuable. I was able to round-up tweets about the quake – specific to Orange County. My favorite piece of reporting was my round up linked above and titled “O.C. residents roll with the quake.” The quake did little to no damage in Orange County, but it still created interesting stories. Editors were asking me to go drive around the county and look for stories. I was able to prove with this round-up of four stories that Twitter is a more effective tool (in some cases) than driving around and looking for stuff.